Hello everyone, Barbara here again with my second post for April. As mentioned before, we are cross-promoting with Ecstasy Crafts. They sell tons of fabulous products that you just don't see anywhere else. The best part is that they blend so well with Sin City Stamps products to inspire your creativity. 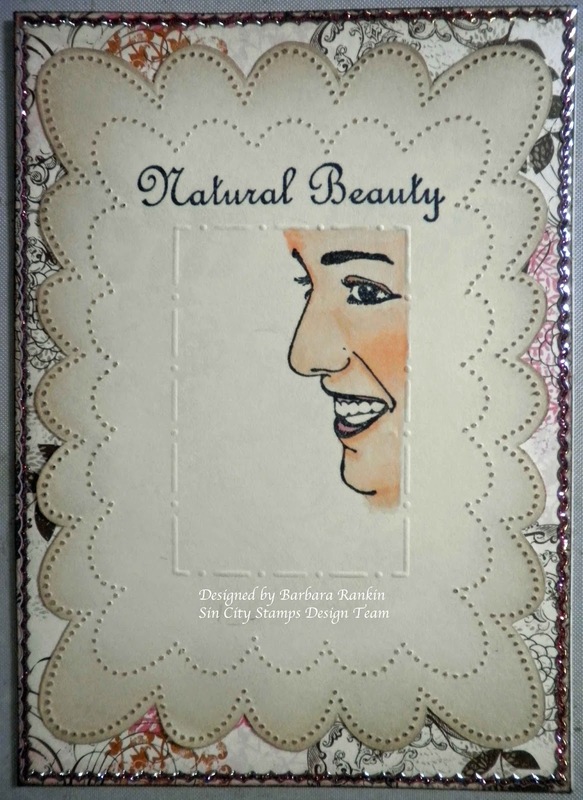 When I received the Natural Beauty stamp plate from Sin City Stamps, I could hardly wait to use it. It has the most beautiful images of ladies and botanicals. I was just waiting for the perfect product pairing to use it. I think I found it. So I made this card for today's project. 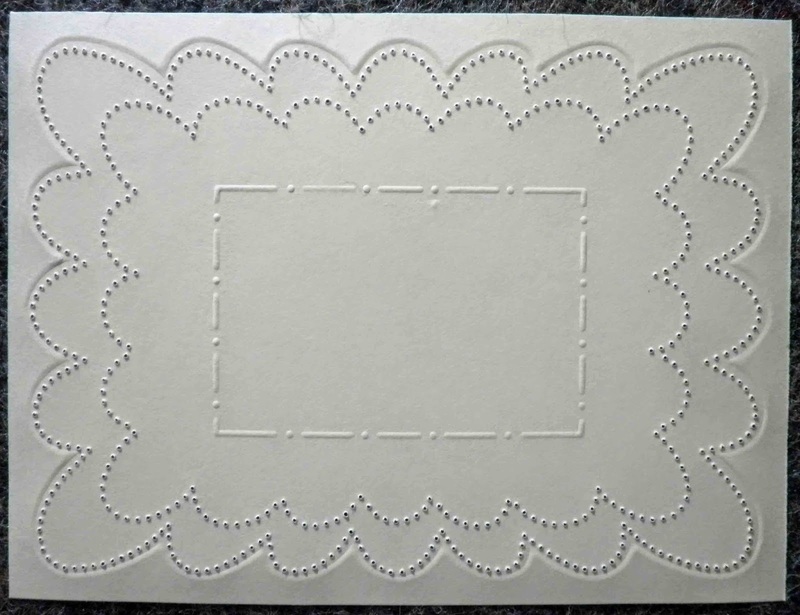 Trim ivory card stock to 4-1/2" x 6". 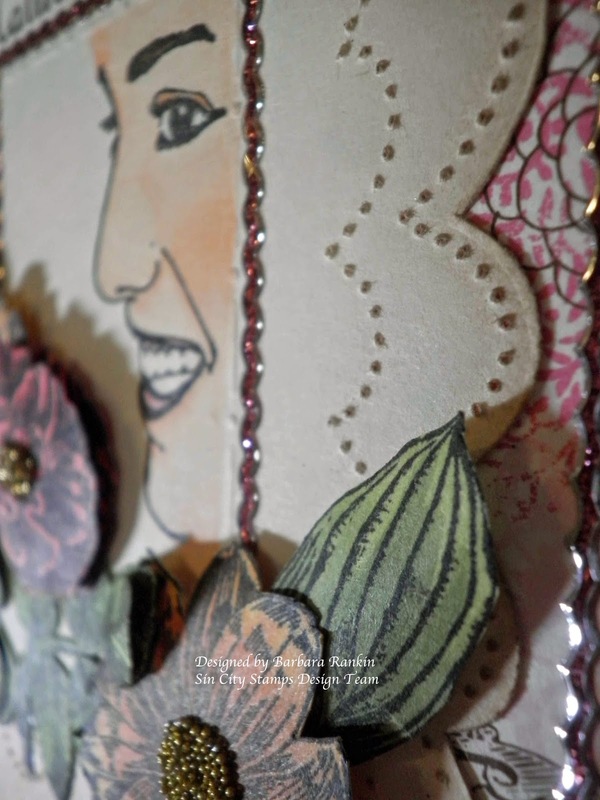 Center metal piercing template over card stock and tape down with a piece of washi tape to prevent it from moving. 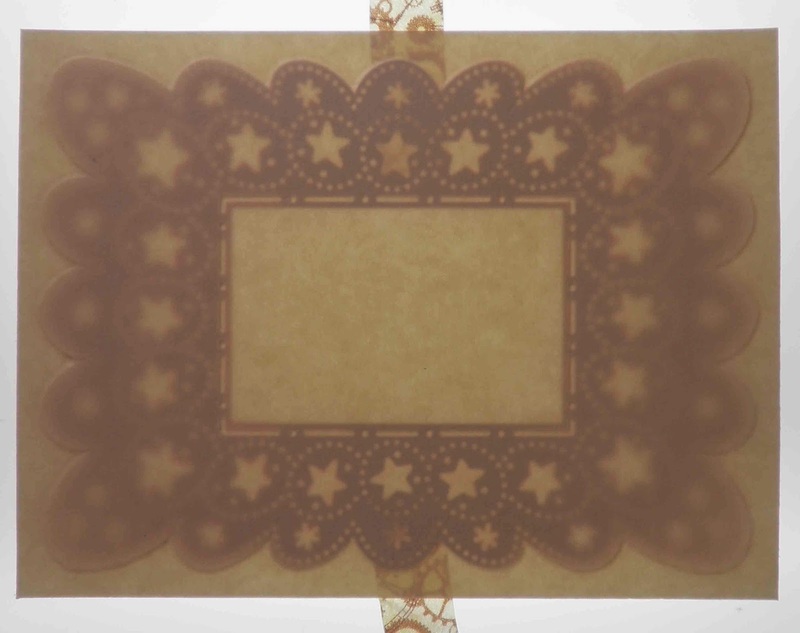 Here is what it should look like after embossing through the template. 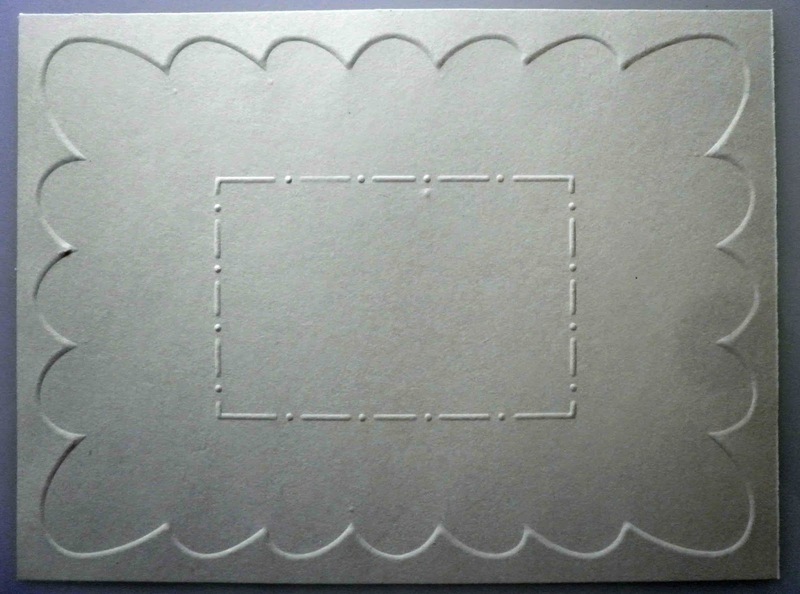 Remove stencil and realign with the embossing on the back of the card stock. Place onto a piece of fun foam or mouse pad and pierce as much or as little of the piercing holes as you wish. I pierced two scallop rows around the edge. 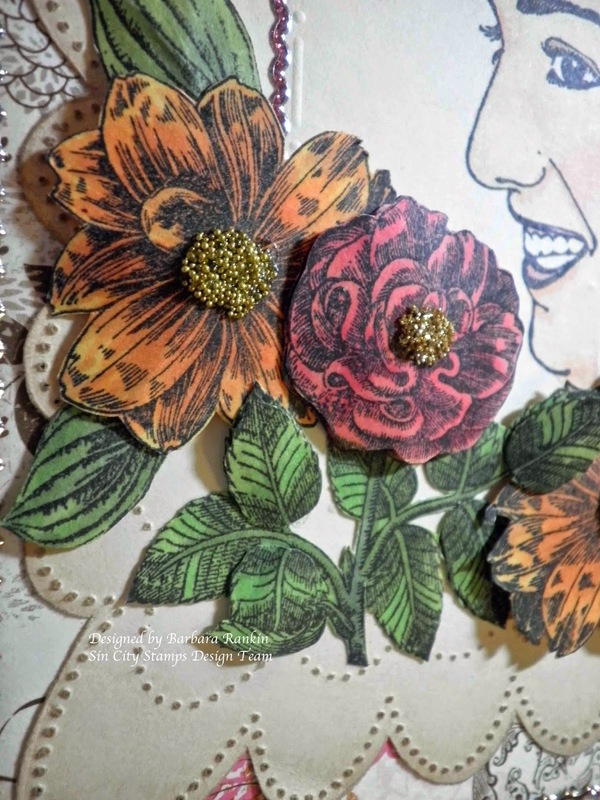 Remove stencil and turn card stock over to reveal your lovely embossing and piercing. 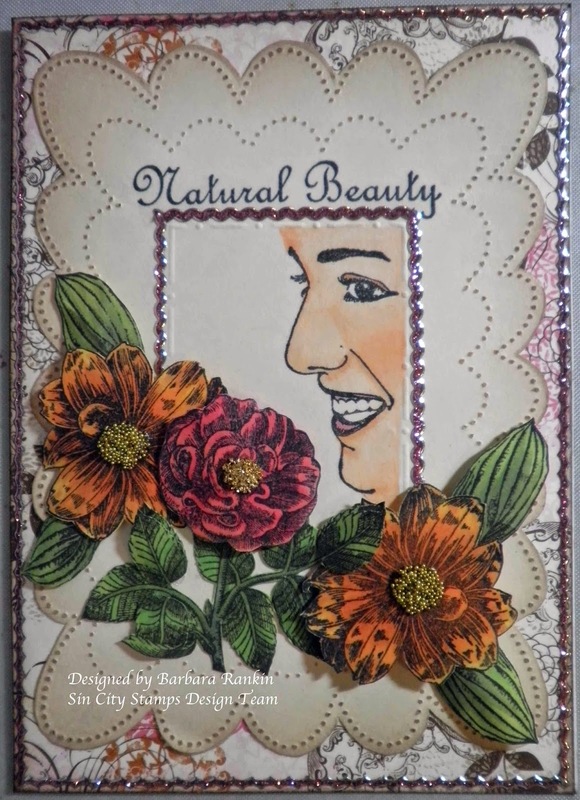 Stamp "Natural Beauty" and face image onto card. (TIP: Use a stamp positioner to ensure accuracy). 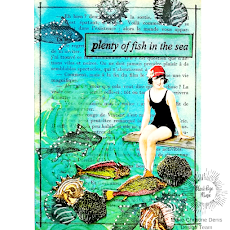 Color face image, then trim and ink edges with Old Paper distress ink to give it that vintage feel. Adhere to card base. 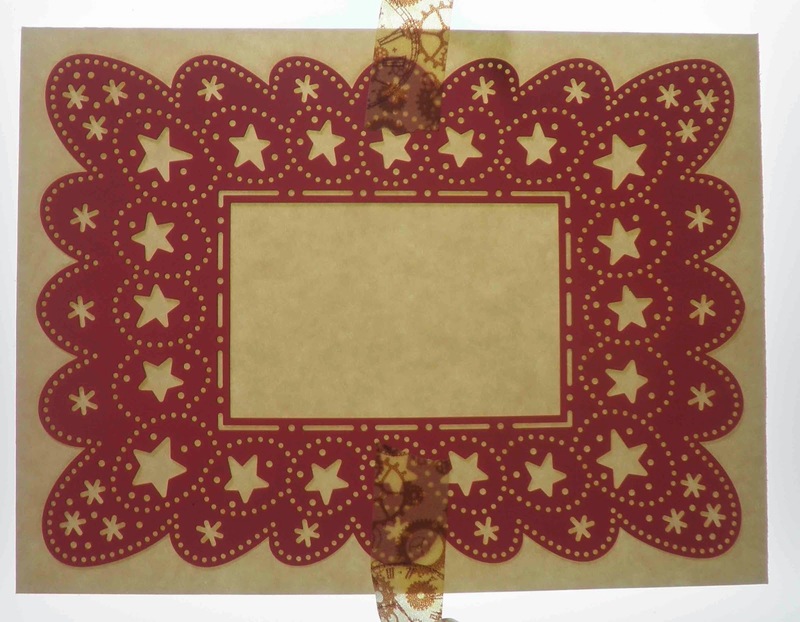 Add a border of pink Starform 7034 Deco Sticker - Wavy Borders. 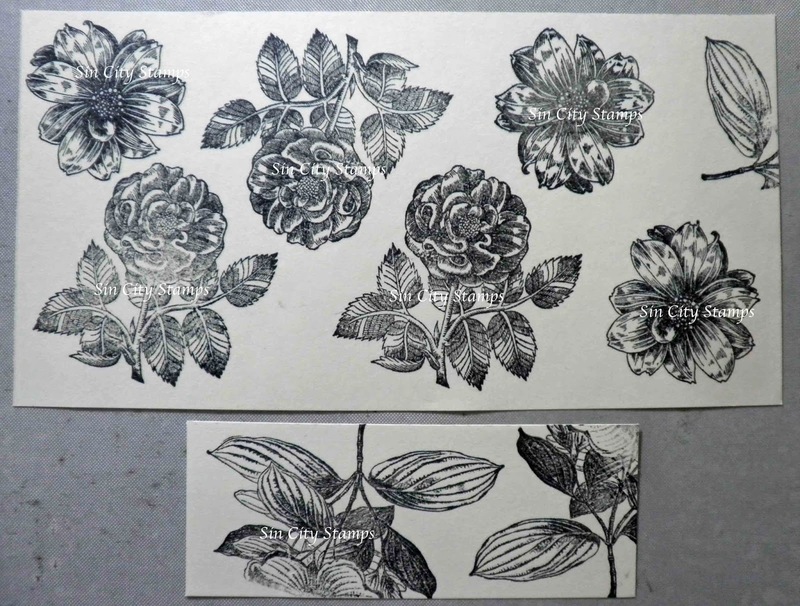 Stamp several flowers and leaves from the Natural Beauty stamp plate onto scraps of the same ivory card stock using Memories black ink and color with Copic markers. 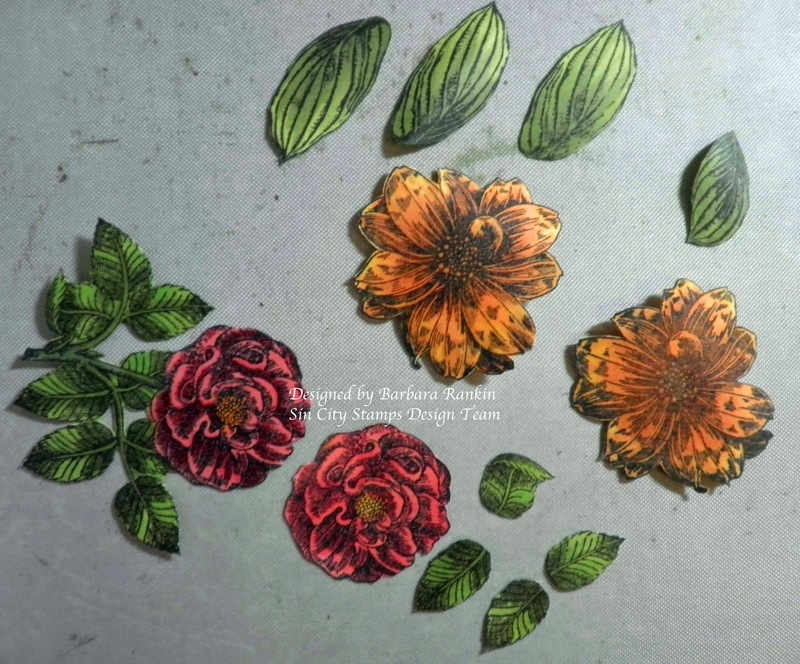 Fussy cut images, add gold glass glitter to center of rose, and gold micro beads to centers of orange flowers. 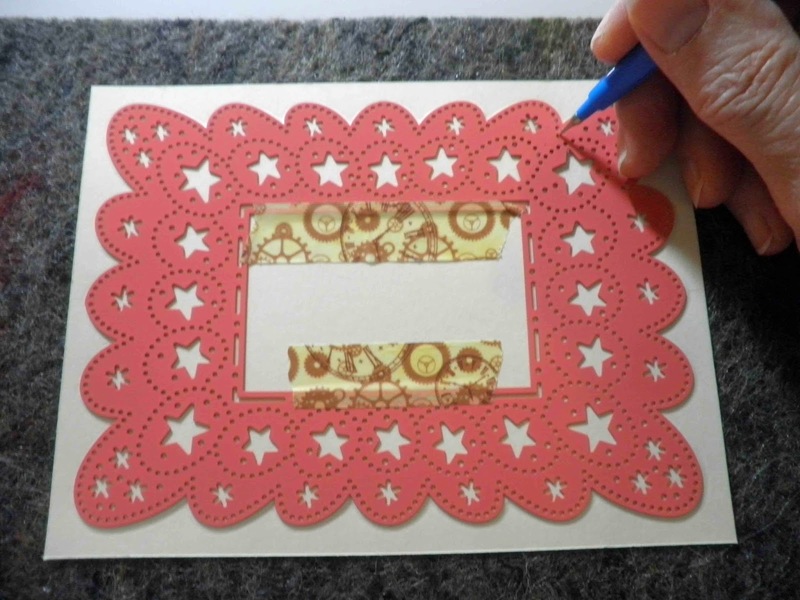 Arrange on front of card with pop dots and adhesive. Here are a few close-ups to show the dimension. 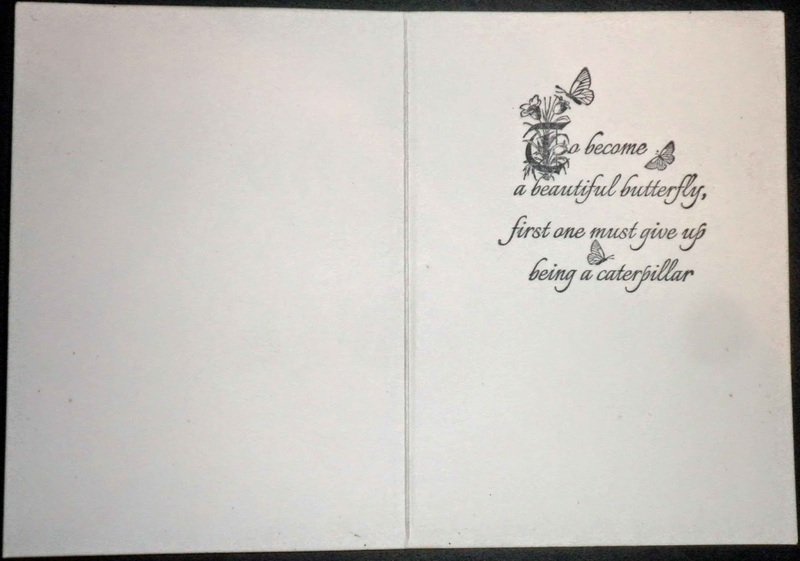 Finish of the inside with this beautiful sentiment from the Bingo stamp plate using black Memento ink. This is one of my favorite sayings and I think it goes so well with the Natural Beauty images. Thanks so much for stopping by. 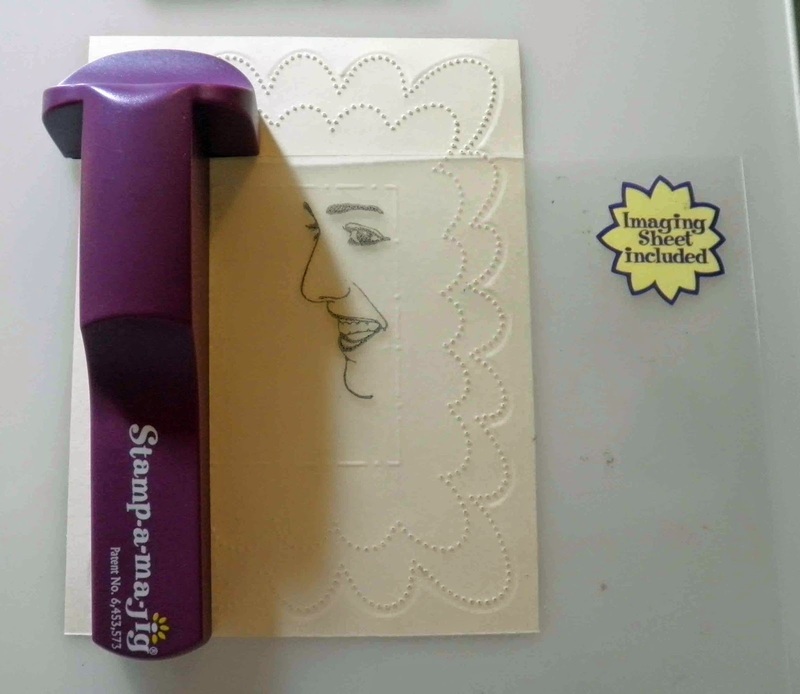 Please be sure to visit Sin City Stamps for your stamping, chipboard and stencil needs, and Ecstasy Crafts for their selection of paper crafting tools, stickers, and embellishments. Beautiful Barbara, love all the details and your flowers are colored fabulously...you always do amazing work...so inspiring. 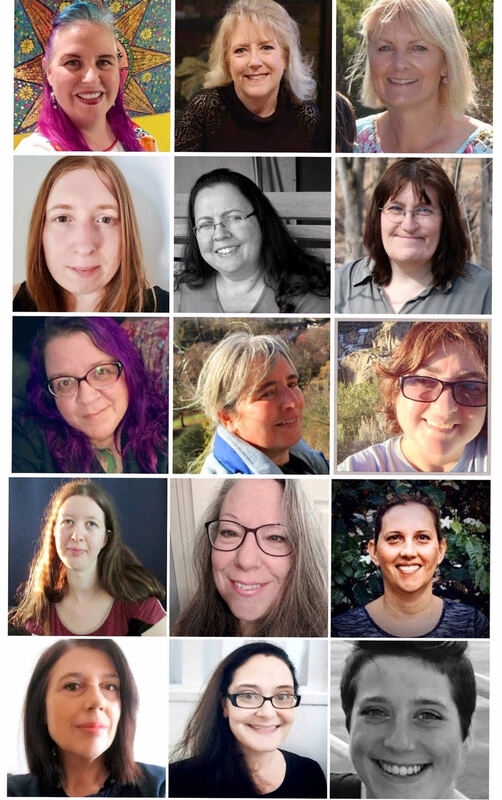 SinCity Stamps is so blessed to have you as part of their design team. oh my gosh, I LOVE this post! You have such an incredible talent. thank you for sharing with us.